Presumed Guilty by Jane Isaac – Blog Tour Review. With thanks to the author for the copy received. Presumed Guilty is the second book in the series that features Beth Chamberlain. It can be read as a standalone novel, there are no references to the previous case. But you would benefit knowing about her personal life before reading it. Beth is a family liaison officer. One of the reasons I enjoy this series is because even though it is police procedural it is from an angle that I don’t usually read. It shows that information revealed by loved ones can go a long way to solving a crime. It also shows how much of a case is solved from the less prominent members of the force. This book starts with a suicide and shortly after a murder. Nothing is revealed about the suicide until the second half of the book. The murdered man’s reputation is in tatters, he has nobody to really mourn his loss apart from his wife who questions if she really knew him. But despite the feelings his death still needs to be solved. Beth wants to be more involved in the case but is being held back for various reasons by some members in the team. As more people die she is one who has the ability to dig deeper and see the connection. She is a character I really like, both in her personal life and her professional one. I think there is huge potential for the series to be a long running one. I want to see her family life become easier and for her career to develop. The team is a close one, there are loyalties there that you don’t see immediately. The ending is slightly ominous, and I’m looking forward to reading what happens next. Today it is my pleasure to my blog Jane Isaac to talk about starting a new series. I will give you the synopsis first. Thank you so much for inviting me onto your blog! This month marks the publication of a not only a new book for me, but also the start of a new crime series. Those who’ve read my work will know I currently write the DCI Helen Lavery series and the DI Will Jackman series. It can be a difficult decision to change when readers have invested so much in your characters, but I see it more as a break. I’d love to work with both Helen and Will again in the future, but wanted to try something different for the moment, to keep the stories fresh. After He’s Gone introduces Family Liaison Officer, DC Beth Chamberlain. It’s been an interesting series to research and write as it offers a different perspective on murder investigations, focussing on the victim’s family. Family Liaison Officers are deployed to support families of victims of serious crime like homicide, road death and other critical incidents. They spend a lot of time updating them on the investigation and feeding back information and often get very close. And since most people are killed by someone they know or someone close to them, it affords the opportunity to unravel some really intriguing secrets! 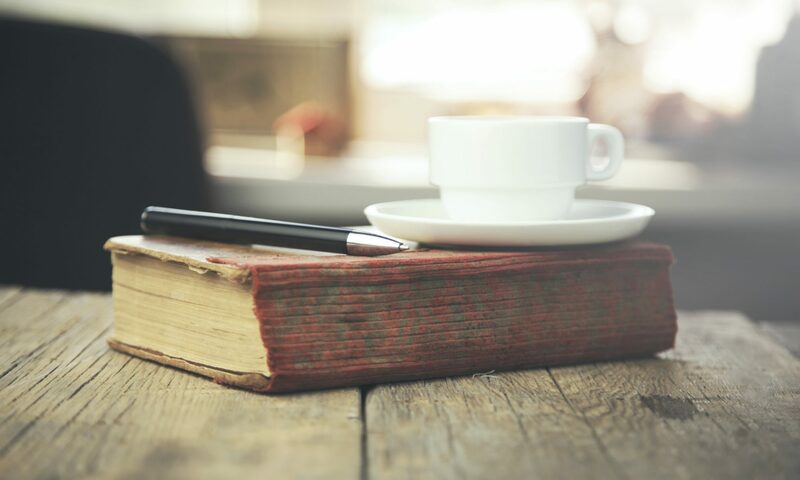 For me, finishing a book represents the end of a journey, but it’s by no means the end of the road. As soon as I completed my first draft of After He’s Gone and sent it off to my editor, I began working on the second DC Beth Chamberlain novel which is scheduled for release at the end of this year, and it’s been interesting to watch Beth deal with the trials of a new investigation. One of the joys of writing a series is that, by the end of the first book, you know the character implicitly and it’s wonderful to challenge and stretch them in other directions. There’s always a sense of trepidation that accompanies sharing a new book with the world. I realise I’m not alone here, some of the most famous authors, with a stream of books behind them, have spoken of their angst when they release a new title. Will readers like it as much as the last? Will it fulfil their expectations? An editor once told me that every book we write should be better and richer, a development on the last. No pressure there then! These thoughts have been more prominent with After He’s Gone, I guess because I’ve tried to do something different. Hopefully, readers will find it a fresh, interesting slant on the contemporary police procedural. Time will tell. 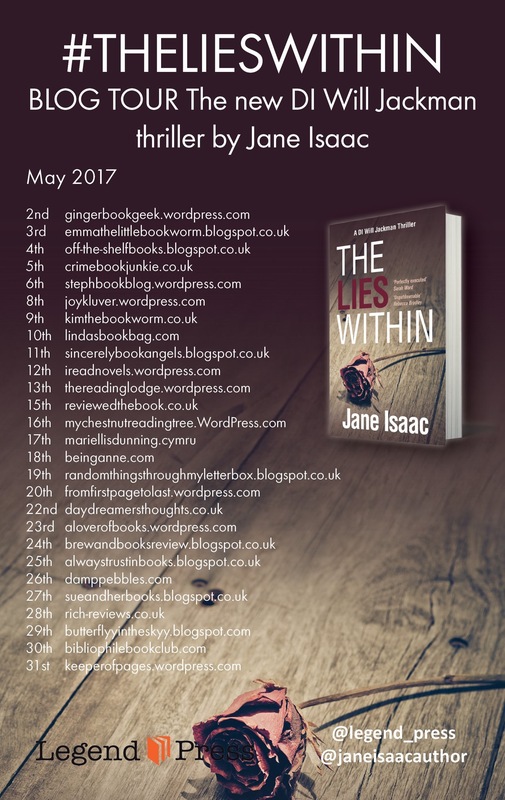 The Lies Within by Jane Isaac – Blog Tour Review. The Lies Within is the latest book in the series that features Will Jackman. It is slightly different to the previous books, focusing on the victim’s family rather than Will so is easily read as a standalone. Will is on secondment to the Leicestershire police when Jo is found murdered. It looks similar to other attacks and the team are eager to solve the case before other women are attacked. Will is under pressure from his boss professionally and personally, his wife’s health deteriorates and the investigation takes a back seat. That is, until there is another murder. Much of the novel is concerned with Grace and her family and how they coped with the aftermath of Jo’s murder. You see how suffocated Grace was by the police presence, how she felt when she was denied access to her daughter’s possessions and the frustration at getting no answers. It was convincing, watching their lives fall apart and how they all coped in different ways. It showed that there was no wrong way. It is a slow burning novel. The trial and the murderer being revealed is towards the end of the novel. Will and his team are trying to solve the case, Grace has found a friend in Faye but you know that with her nothing is as it seems. She was too good to be true. It was a good ending, I like to think it was a happy one for Grace’s family. It was one that made you think about what you would do in similar circumstances. I hope that this series continues, I want to see Will’s family life improve and for him to be happy.